Spiiderweb™: Do You Recognise This Man? 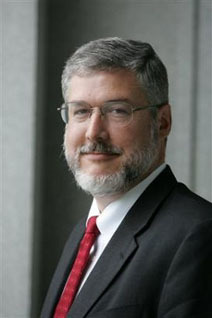 The officials said Cheney's legal adviser and chief of staff, David Addington , is the Bush a dministration's leading architect of the ``signing statements" the president has appended to more than 750 laws. The statements assert the president's right to ignore the laws because they conflict with his interpretation of the Constitution. To put it bluntly, impeaching Bush will effect no change in policy. Further, you have an unelected government official making decisions for you. Comforting?